This Summer, REVOLT TV and the US Navy are celebrating today's hottest Latin artists who are taking the internet by storm and setting the global charts on fire. Start your journey at Navy.com. After working together to create two of his highest-charting songs, 1998's "Superthug" and 2002's "Nothin," N.O.R.E. and producer Pharrell reunited earlier this year to deliver the tropical-tinged "Uno Más." 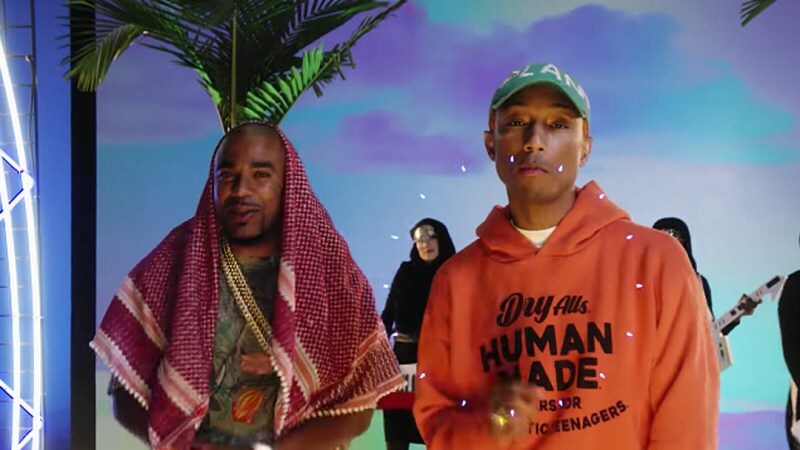 The track's lyrics should come as no surprise considering N.O.R.E. is the co-host of REVOLT TV's very own boozy podcast, Drink Champs: "Come have a drink with me, baby / Just feel, don't think with me, baby / I'll be the shrink you need lately / Just one more clink with me, baby." We've been a fan of Peruvian artist A.CHAL for some time now, from "Far From Home" to "To The Light," "Matrix" to "Cuánto," and even gave a Spotlight to this very video, "Round Whippin," to show love to its highly-contrasted, black-and-white, abstract artfulness. A member of creative collective MSFTSrep, Colombian artist ¿Téo? joined forces with its founder Jaden Smith to not only make their Prakruti EP together last year, but to share one-off "Uno Dos," a rhythmic, bossa nova-esque track whose acoustic flair lends itself very well to the video's naturalistic theme. Tune-in to REVOLT TV to watch 'REVOLT Authorized: Muy Fuego' and see more videos from our favorite Latin artists on Saturday, May 19 at 9am ET. REVOLT IMO | Which new artist should be 'REVOLT Authorized' right now?